The Blockchain is the advanced technology that gained immense popularity from its avant-garde work in exchange and data management particularly in the financial segment. It is all because of the innovative approach of the Blockchain technology which led multiple sectors across the globe to implement this technology into their business. Prior to heading to why Blockchain can help boost healthcare industries, let’s have a quick look at how does this technology actually works. Founded by Satoshi Nakamoto 9 years back, the functioning of the Blockchain was limited to be used as a digital currency, i.e. bitcoin. Gradually, the demand for this digital form of currency escalated, and the company made different currencies such as Altcoin, bitcoin, cryptocurrency, and so on. Today, Blockchain has turned out to be a sophisticated technology which records exchanges and monetary transactions in a database which is shared across with genuine users. Now, what makes this technology different from the casual exchange and transaction recording methods? The authorized users to whom the information is shared couldn’t remove or modify any record unless they get permission by all the users associated with the particular database. You might be aware of the working of healthcare industries and how crucial data is shared across different systems, aren’t you? The recent healthcare infrastructure isn’t considered to be sufficient to manage data exchange and needs multiple changes. Gone are the days when Blockchain technology was given a tag of “innovation trigger.” Today, there is a lot more you could explore in this industry. Now the question is should professionals implement Blockchain technology in healthcare? If yes, how will this sophisticated way of handling database affect healthcare industries? Or will it ease the work of the people in such industries? Why Should Blockchain be Integrated into Healthcare Industries? One of the major things that make Blockchain an innovative technology in healthcare is the absence of a central administrator. Wondering why? This is because the database is still considered as a physical subject that includes bits and bytes. And, being the tangible thing, the chances of loss, unauthorized use, and accidental deletion of the data from the manual records are quite high. Have you ever thought what if the data you’ve recorded in the physical memory of your system is corrupted by the individuals who have access to the same? On the other hand, implementing Blockchain technology would eliminate the requirement for a central administrator as cryptography would substitute the work done by former. As the healthcare industry is all about needing quick access to the data of a particular patient while keeping the information secure and confidential, Blockchain could restructure this medical database and allow its distribution in a secure way. So within one technology, you get scalability, data confidentiality, and easy access. Though the implementation of Blockchain technology into the healthcare realm might sometimes turn out to be a bit disrupting, it would never be an elixir to hide the database issues. Instead, it can be an amazing journey which would involve the implementation of Blockchain slowly. How Can the Healthcare Industry Benefit from Blockchain Technology? Single patient records including disease records, laboratory results, and treatments could be accomplished using Blockchain. This further works by helping providers to use comparatively better techniques to take care of the patients. Often times, when you tackle a plethora of patients database, the records get lost or mixed up. Plus, depending on the EHR you are hiring, there can be a considerable amount of difference in the way of recording database which then complicates even the simplest form of data. At the same time, all the records are prepared in one single data entry book, i.e. ledger. For instance, if you search for the address-related details of a person, there will be a lot of addresses and different keys; however, all this will only give you a single patient ID. Implementing the Blockchain technology could help the healthcare companies in screening the supply-demand cycles. For instance, how exactly are the monetary transaction happens? If the specific contract your company has accepted is going smoothly? Or is there any delay in it? All these details could easily be monitored using Blockchain. As Blockchain functions on a validation focused transaction and exchange system, the claims get automatically confirmed where the system accepts the method a contract is carried out. In addition to this, as there isn’t any central authority, the chances of occurrence of frauds and mistakes are from rare to none. Blockchain technology utilizes advanced APIs to turn data storage as well as EHR interoperability into a consistent procedure. 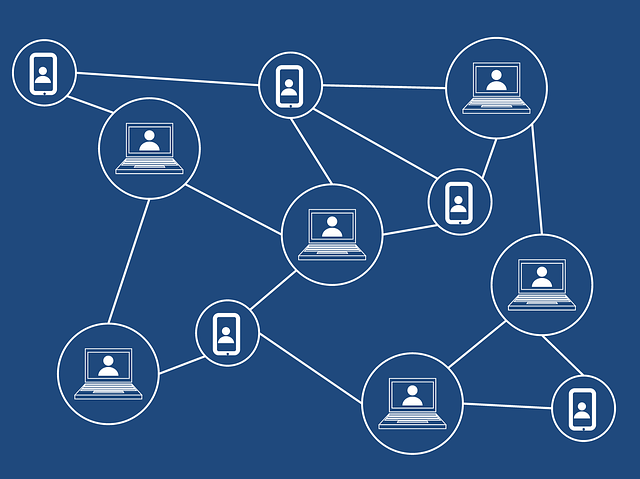 As Blockchain network is only distributed across the authorized people and that too in a secure form, it eradicates the additional expenditure linked to data reconciliation. Apart from the mentioned benefits, Blockchain technology has the potential of evolving clinical trials, revenue cycle management, drug supply management, and the prevention of scams. Mainly, the benefit of Blockchain in the healthcare field could be defined considering how keen healthcare firms are to develop the essential technical infrastructure. There is no doubt that though Blockchain is efficient, reliable, secure, and an easy-to-use way of managing database, it is comparatively costlier than the manual way of handling records. The blockchain is increasing by leaps and bounds with almost every second industry implementing it into their organization. With all the above-listed benefits, it isn’t surprising to say that the day is not too far when healthcare industries would choose a Blockchain app development company to implement this advanced technology into their firm. I am a digital marketing specialist. I represent the Team of web developers of Merehead company. Now I am interested in blockchain technology and its implementation in different spheres of our life.